How much does it cost to get married at Riverside Farm? Couples that get married at Riverside can expect to invest from $50,000 to $150,000 on their entire wedding event depending on the number of guests and vendor choices. Do you offer off-season rates? Yes. Please contact us at events@riversidefarm.com for information on off-season pricing. Am I allowed to extend my stay for longer than 2 nights for my wedding weekend? Yes, you are more than welcome to extend your stay with us during your wedding weekend. The only additional cost will be for additional nights of lodging. How many people can sleep at Riverside Farm? We can lodge up to 24 people on the Riverside Farm property itself. You are also welcome to book our sister properties for guests. 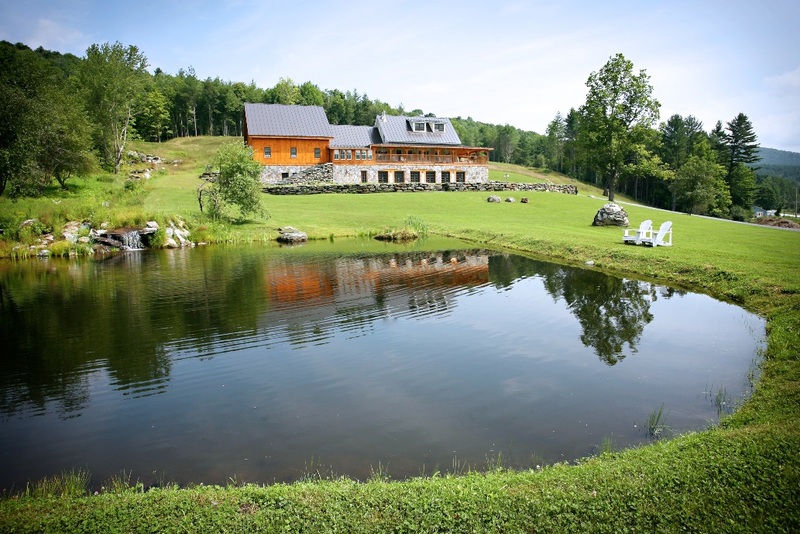 Amee Farm Lodge can sleep up to 33 people and Trailside Inn can sleep up to 100. Between all three properties we can lodge 150 people. Can my guests camp on the property? Unfortunately, we do not allow camping on our property. There are multiple campsites within a few miles of Riverside Farm that we can refer you to. Do you have any restrictions on how late my party can last at night? In accordance with state laws, any events on Riverside Farm property must end at 10pm. There is a local tavern right down the road should you want to continue the party! Can I rent just one of the barns for a day? At Riverside, we host exclusive destination weddings for an entire weekend. When you decide to book with us, you get exclusive access to our entire property for the weekend to host your wedding. If you are interested in a 1-day wedding, we are available mid-week or off-season. Please contact us at events@riversidefarm.com for more details. What is your affiliation with Amee Farm Lodge & Trailside Inn? These are both sister properties of Riverside Farm. We do host weddings at each of these venues as well. If you are interested in hosting your wedding at one of these locations, please contact us at events@riversidefarm.com. The Green Mountains offer plenty of activities and fun. The mountains on-site offer numerous hiking, walking and biking trails, as well as plenty of open space for games on our lawn. Within a short drive you can find Green Mountain National Golf Course, River Tubing, watering holes, yoga, breweries, skiing & summer fun at Killington, as well as many other National and state parks to explore! My dog is my family. Can I have him/her in my wedding? You are welcome to have your pet be in your ceremony, but unfortunately we do not allow pets in any of our lodgings or on-site on our property for the whole weekend. Do you have catering on-site? We work exclusively with Vermont Farms Catering (http://www.vermontfarmscatering.com/) in Pittsfield, VT for all of your food and beverage needs throughout the weekend. All cooking is done on-site at Riverside. Is there a wedding planner on-site? 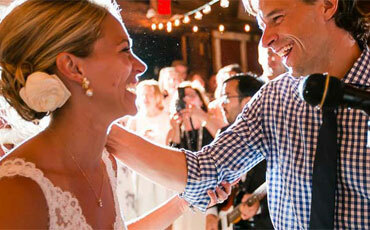 You will work closely with our wedding coordinator who will help organize and prepare for your wedding weekend. She will provide you with a list of preferred vendors who you can contract with, as well as help execute your wedding weekend by outlining your weekend timeline and making sure all details are attended to. You will then have 2-4 day-of coordinators on-site for your entire wedding weekend to make sure your event is stress-free and everything runs smoothly. Do I have to use the vendors from the list you provide? We have exclusive contracts with the caterers (Vermont Farms Catering) and rental company (1888 Builders). You are required to go through them for all catering and rental needs for your wedding weekend. The other vendors we recommend for flowers, photography, entertainment and fun have worked at our venue multiple times. 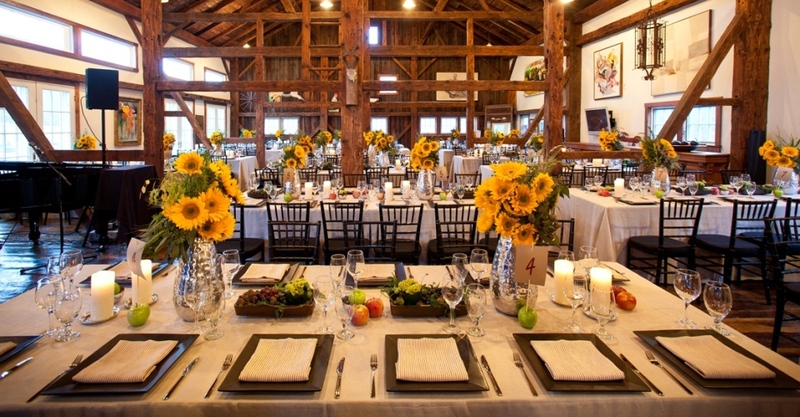 They understand what it takes to create a highly successful event at Riverside Farm. Although we encourage couples to use vendors from our list, you are more than welcome to contract and work with any vendor of your choosing. What if I do not like the rentals or want something specific? 1888 Builders and the rental coordinator will work with you to find the item(s) you desire.